Morrish Medal winner: Hugh McCluggage. 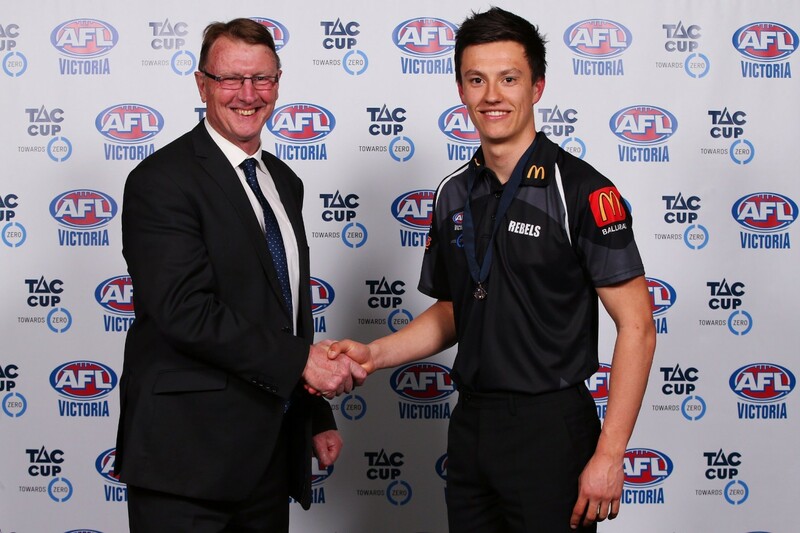 North Ballarat Rebels midfielder Hugh McCluggage has claimed the club’s first-ever Morrish Medal after being adjudged the TAC Cup’s best and fairest player for the 2016 home-and-away season on Sunday night. 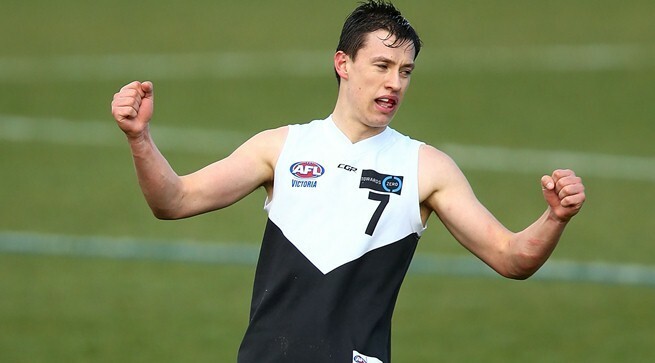 The 18-year-old South Warrnambool product polled 16 votes from 10 games to finish two votes clear of Dandenong Stingrays forward Dan Allsop and Gippsland Power bottom-age player Callan McKeon. Northern Knights captain Mason Blakey was one vote further back on 11, while Sandringham Dragons 19-year-old Goy Lok finished in fifth position with 10 votes. McCluggage was awarded best-on-ground honours in four games and polled two votes in two other appearances. Only Blakey polled votes in more games, picking up two votes and one vote on four occasions each. - 25 disposals, eight tackles, seven clearances and two goals in a 35-point win against the Calder Cannons in Round 14. Across his 10 matches, 185cm McCluggage averaged 29 disposals per game and booted 23.8 as one of the competition’s most dangerous goalkicking on-ballers. The NAB AFL Academy member was named Vic Country’s Most Valuable Player of the 2016 NAB AFL U18 Championships after averaging 20 disposals per game and kicking seven goals in four matches. He was also selected in the midfield of the U18 All Australian team. Equal-runner-up Allsop polled votes in six games, including three best-on-ground performances. The 175cm 18-year-old from Red Hill finished sixth in the TAC Cup goalkicking count with 27 majors from his 17 games for the Stingrays. He moved to within two votes of McCluggage’s final total with a best-on-ground performance in the penultimate round, but didn’t poll votes for a 20-disposal, one-goal effort in Dandenong’s final-round victory over the Geelong Falcons. Fellow runner-up McKeon had a barnstorming finish to the season, polling 12 of his 14 votes in the last seven rounds after not polling at all before Round 8. The 163cm 17-year-old from Bairnsdale averaged 11 disposals and five tackles per game across his 14 matches for the Power.